It seems like it should be a bigger deal than this. 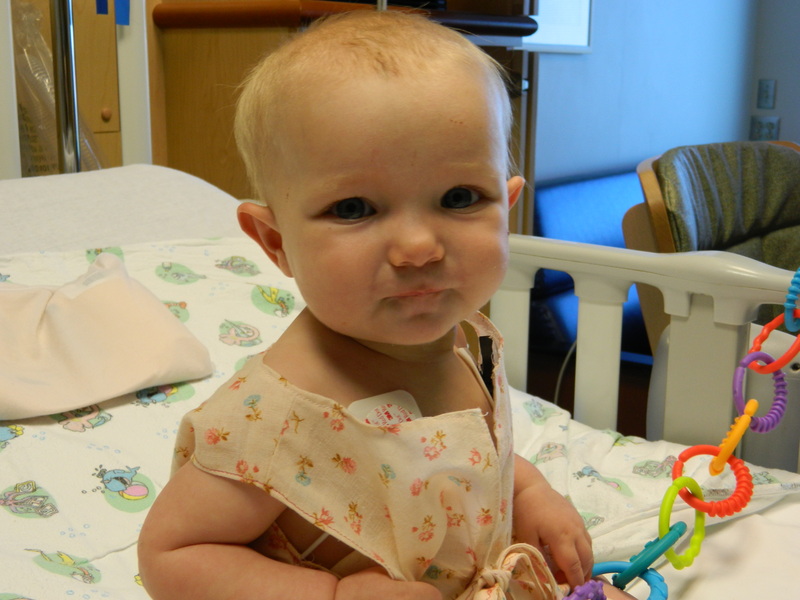 One year ago today, my daughter went under the knife for open heart surgery. She was just shy of being seven months old. She had a ventricular septal defect, which is a fancy way of saying “hole in her heart.” We took her down to Monroe Carrell Jr. Children’s Hospital at Vanderbilt May 5, discovered there was a mix-up and the surgery had been moved to May 6, lost our minds for a few hours, showed up again the next day, and handed our baby girl over to a team of extremely skilled surgeons who were given the task of patching her up. I’m not going to lie and say everything about the road leading up to the surgery and that day itself wasn’t difficult. Because the heart defect was basically stunting her growth and because she was too stubborn to take a bottle, she had to have a feeding tube stuck up her nose for several days prior to the surgery. Another tube, this time of the drainage variety, was inserted into her chest once the surgery was over. She spent about a day in the Pediatric Intensive Care Unit, and she barely moved the entire time she was there. All I can seem to remember clearly, though, is this: She had open heart surgery on a Tuesday and was sitting up in her bed by Friday. The year following that surgery has been a blur. My daughter has filled out, mainly because once her heart defect was repaired she could actually nurse properly (She was having trouble breathing and nursing at the same time.). The scar on her chest has already faded quite a bit, and there’s nothing about her that would indicate anything had ever been wrong with her. These days, we just live life with her like we do with our other four children. We don’t even have anything really special planned for today. On the surface, then, this day doesn’t seem that different from any other. We’ll always know it is, though. This will always be the day God answered our prayers and made a way for our daughter to be whole again. And that is something this family will store in their hearts forever. So maybe it is a big deal after all. I used to be funny. No, really, I did. I used to write all kinds of amusing things, earning me a reputation as … um … that guy … who, uh, wrote … funny things (Okay, so maybe it wasn’t enough of a reputation to earn me a cool nickname…). It was cool. Well, I mean, I wasn’t cool, but it was nice to be able to claim some sort of talent people recognized me for. As I got older, though, I somehow began to develop the notion that real writers didn’t waste their time on funny things. They wrote depressing literary fiction where con men steal fake limbs from unsuspecting women (“Good Country People,” by Flannery O’Connor. Look it up. Or, better yet, don’t look it up. It’s weird.) or sprawling analytical columns pondering politics and crime and economics or deep ponderings on philosophy or religion. Dave Barry may have won a Pulitzer and had a sitcom based on his life, but odds are you won’t ever hear him mentioned in the same sentence as names like Faulkner or Hemingway or even Grisham or Sparks. As a result, I’ve found I’ve become sort of heavy-handed over the years. I realized that this week, after I had worked and worked and worked to no avail on a follow-up post to the one I did about Doug Phillips of Vision Forum Ministries. I may finish it yet, but for the moment I’m sort of tired of dealing with it. In my attempt to wring something profound out of myself, I discovered I wasn’t having any fun, and I already have to go through enough experiences every day that aren’t any fun. Maybe it’s time I switched gears. Despite my best efforts over the years to cast myself as a musical sophisticate by loading up my music collection with everything from Wilco to Stanley Clarke to Mumford & Sons to Johnny Cash, I always wind up coming back to hard rock and hair metal. When I was in high school, I listened to everything any self-respecting male would be ashamed to have in his possession today – Poison, Warrant, Slaughter, Winger… I even owned a Trixter album at one point, for Pete’s sake. This was also the time of my life I became acquainted with the bass playing of Billy Sheehan in Mr. Big, and I remain a huge fan of his to this day. When I heard he was making an album with former Dream Theatre drummer Mike Portnoy and guitar virtuoso Richie Kotzen, my ears perked up a little. 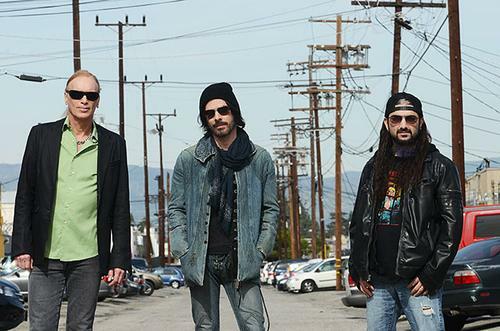 When I heard their first collaboration as the Winery Dogs, I was hooked. Tremendous playing, sky-high singing, and surprisingly good songwriting taking me back to the glory days. My favorite album of the year. As a general rule, I hate hospitals. I hate the way they look, hate the way they smell, hate having to be in them. I’ve driven my wife nuts every time we’ve had a child because I always look for ways to sneak out of them. When we found out our then five-month-old daughter had a Ventricular Septal Defect (a fancy way of saying “hole in the heart”) back in April, though, I knew I was going to be spending much more time in hospitals this year than I wanted to. The Monroe Carrell, Jr., Children’s Hospital at Vanderbilt told us the wrong day to show up for my daughter’s surgery, then proceeded to be the most awesome hospital I’ve ever dealt with. And an extra tip of the hat here to the Nashville Ronald McDonald House, which was a blessing not only to us but to others with children facing hospital stays. I can sum up how I became a fan of these guys in two words: Dwight Howard. As he was busy turning the Los Angeles Lakers 2012-2013 season into an unmitigated disaster, ESPN decided to center every one of its basketball discussions on Howard and his poor fit with the team. One day, I just couldn’t take it anymore and decided to go looking for a podcast to fill the void. Enter five goofy guys from Canada just hangin’ out and talkin’ hoops for about an hour every day. 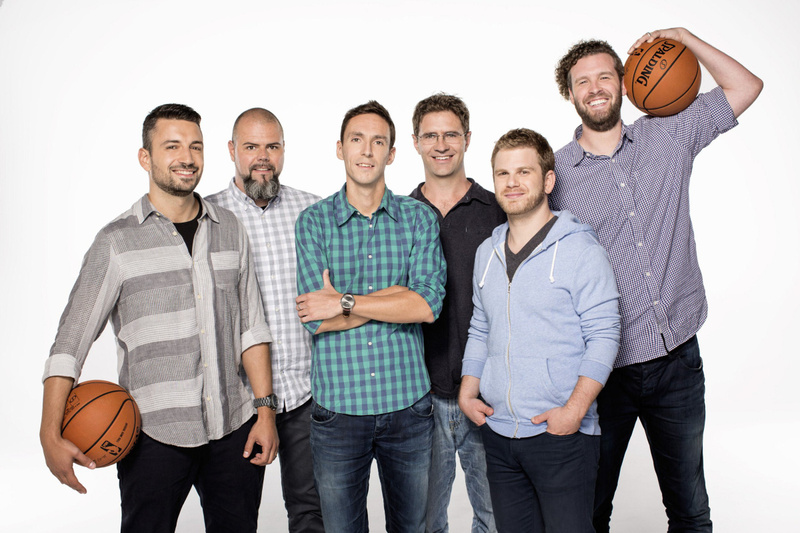 A little of the cavalier attitude that made The Basketball Jones so much fun has been lost now that the show has moved over to NBA TV as The Starters, but it’s still the best hoops podcast out there by far. Okay, so Iron Man 3 kind of sucked, but even a crappy Iron Man movie is still so much more fun than heavy-handed fare like Man of Steel (which I actually liked, even if the climactic battle sequence seemed to drag on for infinity). Thor: The Dark World brought the goods, and the trailer for Captain America: The Winter Soldier looks tremendous. If Marvel Studios can keep churning out Avengers-level fare, I’ll even be willing to overlook their questionable decision to make an Ant Man movie. So what if Dickey narrowly avoided a losing record and saw his ERA balloon to over 4.00 in his first year as a Toronto Blue Jay? His autobiography – Wherever I Wind Up: My Quest for Truth, Authenticity and the Perfect Knuckleball – made its way into my hands this year and rocked my world. 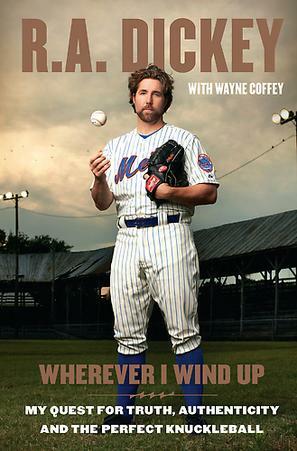 Sure, it was published in 2012, but Dickey’s story of personal hardship, moral and professional failure, and, ultimately, redemption is the type that will never grow old. If nothing else, Dickey’s book inspired me to work the words “owning it” into my everyday vocabulary. How deep did my love affair with magazines go in 2013? Far enough that I’ve fished a few out of the trash can at the post office near where I work. I may not read as many books as I’d like to over the course of a year, but I devour any magazine I can get my hands on. I’m especially a sucker for one-on-one, question-and-answer interviews. If anyone ever decides to publish a magazine of just those, I’ll be first in line to get a subscription. Heck, maybe I should start one myself. That’s right, I said it: I’m a man, and I enjoy using social media. It’s taken me a long time to be able to admit that. A lot of men I know would consider Facebook or Twitter a waste of time. If you’re a writing-minded, extremely shy person like me, though, what better medium could there be to express thoughts and keep up with friends? Just don’t expect to find me on Pinterest. I might actually have to turn in my man card if I ever wound up there. Don’t get me wrong on this one: If I could afford LASIK eye surgery, I would go through with it in a heartbeat. I am not a fan of having to put on a pair of glasses every morning to see where I’m going. As I’m also not a fan, though, of attempting to insert small slivers of plastic into my eyes on a daily basis, glasses have suddenly become a more appealing option. I finally gave up on contacts last year in the midst of the spring allergy season, and I finally made peace with my spectacles this year. Transition lenses and everything. My eyes haven’t felt this good in years. Technically, this movie came out last year. Also, technically, it lost a whole bunch of money for Dreamworks Animation. My family doesn’t do Santa or the Easter Bunny or the Tooth Fairy, so there wasn’t really a lot drawing me to the film when it was released on home video. As my children had seen, literally, every animated movie ever made except this one at one point this year, though, I decided to give it a shot. While they thought it was pretty good, it blew me away. 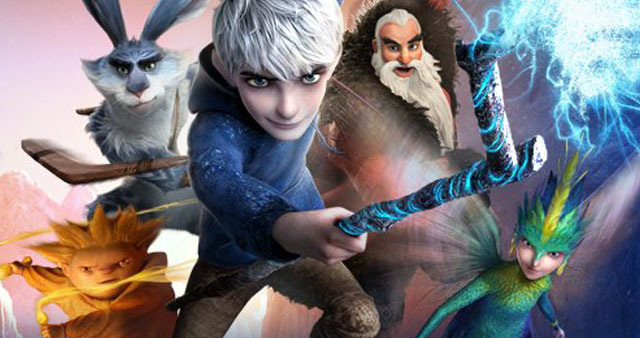 Stunning action and animation combined with themes anyone could identify with. I’ve talked about it so much even my kids roll their eyes when I bring it up now. The blu ray may be going on my Christmas list anyway. This might seem like an odd thing to be thankful for, but I think it’s already been established that I’m an odd type of guy. Being diagnosed with dysthymia was a blessing in disguise for me. I’ve learned a lot about being thankful, weighing my options, and learning how to own the decisions I make. I’ve been able to share on this blog some of my experiences, and that has opened the door to several discussions I never thought I’d be having. I still have my bad days, but at least now I know why I have those days. I’m just praying I can carry what I’ve learned this year with me through the rest of my life. When my daughter was having her aforementioned surgery, I was still using a regular cell phone. Nothing wrong with that, but it seemed like every five minutes I was either having to call or text someone to give them a status report. Plus, there’s not a whole lot to do in hospital waiting rooms these days, so boredom was also an issue. My decision after that to try out a smartphone has been mostly a good one, although I think sometimes I’m getting a little too attached to it. There are times when I go all Gollum and get the thing out not because I really need it, but mainly because I just want to look at it. I expect to begin referring to it as “My Precious…” any day now. One day, I’m going to figure out a direction for this thing. One day, I might even learn to make some money doing it. Until then, I’m just going to keep throwing stuff out here and see who stops by to read it. I’m a writer. I may not be making my living doing it. I may not be doing it every day. But it’s who I am. And I can’t think of any better way at the moment to keep in practice. So, sorry, WordPress, I guess you’re stuck with me for a while. God and I seem to be on better terms these days than we were for a while. I don’t seem to be angry with Him as much as I used to be. I guess when He spares your daughter from heart failure, your perspective lightens up a little. It goes beyond that, though. I don’t feel like He’s ready to drop the hammer on me whenever I get out of line (which is still, unfortunately, something that happens way more than I’d like it to). I’m seeing Him more and more in the bad times. I’m still a knucklehead, and I still get it wrong more times than I get it right, but I think maybe – just maybe – He was expecting that. So, there it is. Happy (belated) Thanksgiving, everyone. What made you happy this year? This is my daughter, Sara. 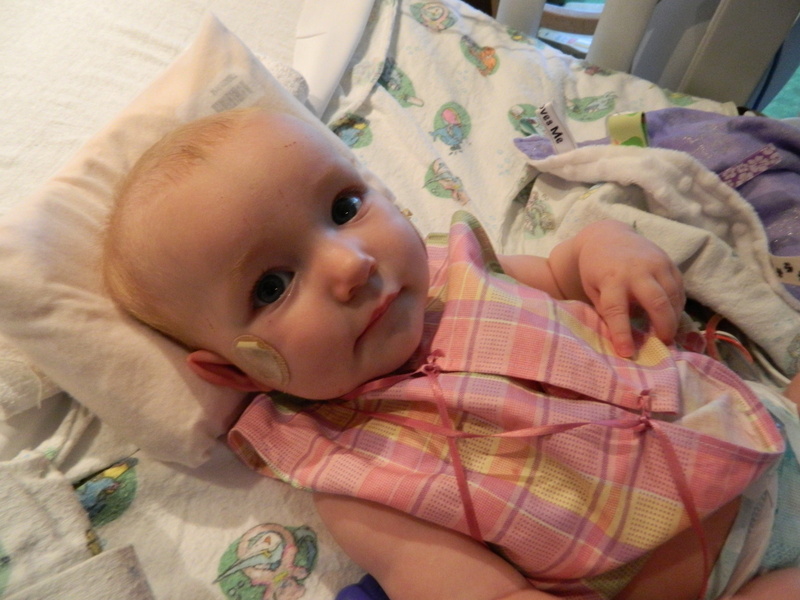 She is six months old, and one week ago today she underwent open heart surgery. To fully explain this story, I have to back up to April 11, when my wife took Sara to our local pediatrician because she seemed fussier than usual. My wife suspected an ear infection, but our doctor diagnosed our daughter’s recent temperament as being caused by teething. 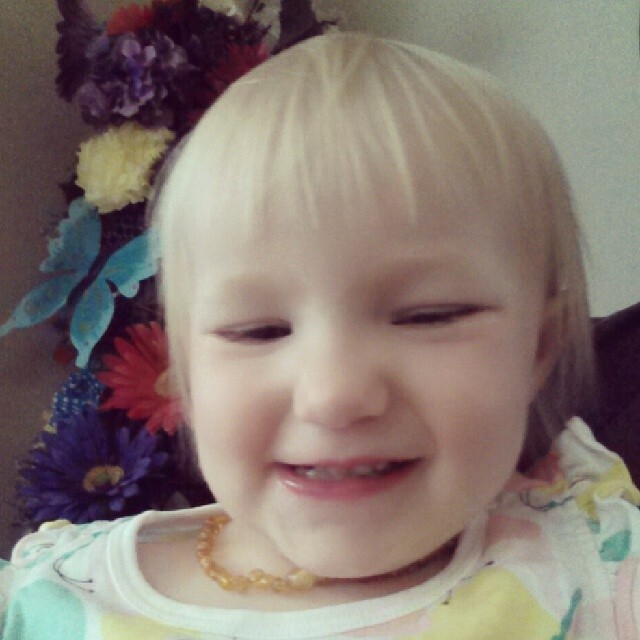 That was not the end of her diagnosis, though: She also thought she detected a heart murmur. This discovery set us on a journey which culminated with the aforementioned surgery last week. My daughter had a ventricular septal defect (or VSD), which essentially means she had a hole where the wall dividing the left and right ventricles of the heart should be. A surgical procedure involving a patch for the heart was the only solution to this problem, and that procedure would involve cutting into my little girl’s chest. I’m happy to report that the results of the surgery so far have been an overwhelming success. We were out of the PCICU at the Monroe Carrell Jr. Children’s Hospital at Vanderbilt in Nashville the day after the surgery, and we actually arrived home yesterday, one day short of a week after the procedure was performed. To think a baby could have open heart surgery and be home less than a week later is astounding to me, but that is exactly what happened. Obviously, receiving this news threw me and my family’s lives into a tizzy. We were ordered to not take our daughter into any crowded areas where she might get sick, which meant – since she is still nursing – I became the new chauffeur for our other four children, getting them to soccer practices and fashion show rehearsals and all kinds of other things. They spent all of last week between grandparents’ houses, while my wife and I holed up in the hospital. We have a follow-up visit scheduled for next month, and I’m sure it won’t be the last. I have had many, many thoughts I have wanted to write about during this period, but circumstances have basically kept me from doing so. My wife persuaded me to leave my laptop at home before our trip to the hospital, so I couldn’t even take advantage of the seemingly endless hours of having absolutely nothing to do. As my daughter continues to amaze us with her recovery, however, I am going to begin putting some of these thoughts on paper (so to speak). So if the four or five or you who regularly read this blog wonder where I’ve been, there’s the scoop. It’s nice to be back, but not nearly as nice as my baby girl being back at home with a mended heart.